The e-commerce industry is growing at a phenomenal rate. E-commerce industries are exploring different ways to further their reach, expand the market, improve the conversions, enhance the customer experience. They find SMS services one of the very effective ways to reach customers. Despite the fact smartphones come with email, chatting and other additional features, SMS remains one among the top choices for marketers because of its open rate. 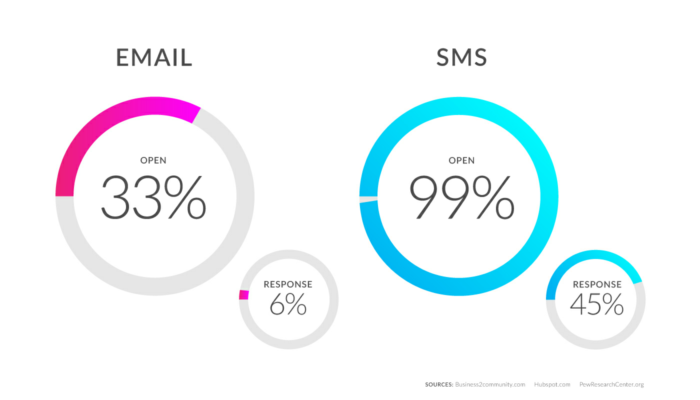 Its reported that text-messages have 98% open rate and 94% are read in 5 minutes. When it comes to links, the click-through rate is 19% in SMS compared to 4.2% in email. Moreover, not everyone carries a smart phone. In countries like India, majority are non-smart phone users. Email, website cannot help reaching the customer. To bridge this gap, SMS services are used. How to leverage bulk SMS services for e-commerce? 1. Send Timely Updates- (reminders, notifications, alerts) Enhance customer experience with regular communication. Send reminders, notifications & updates like order confirmation, delivery status and keep your customers informed. “Dispatched: Your package ABCD will reach you by 02-May. Track at or give missed call to 180000333333” 2. Instant Verification- (2nd Factor authentication through OTP) Enable your customers to securely use SMS OTP for account verification, payment verification, COD delivery verification, Mobile app login among another usage. “Dear Customer, please use 56161 as your one-time password to log on. Never share your password with anyone. Contact +91-11-30147583 for any further help.” 3. Collect Feedback – (Take surveys) Get quick feedback from customers regarding the quality of product, delivery or any other issue. You could also conduct surveys or polls with a combination of call tracking, missed call features. “Thanks for the purchase. On a scale of 1 to 10… how would you rate our customer service. Send your rate on 56161. 4. Make Offers (Marketing Campaigns, promotions, coupons) Send offers and coupons on special occasions & festivals. You could also send text with attachments and URLs to improve conversions and increase downloads. “Happy Diwali! 20-50% DISCOUNTS from 23-25th October exclusively on our mobile app! Download it here to join our app http://tx.gl/r/gL” 5. Communicate two ways – Send a SMS about the arrival of the product and ask for customer`s availability at the address by replying to the SMS. Or collect feedback from your customers by asking them to reply to the SMS. “Hi Rajesh, Your package will be delivered by 7:30pm today. Please SMS YES to 56XX to confirm your Availability” 6. Generate Leads – Use recognizable and easily remembered five-digit short code on your offline marketing campaigns to generate leads to your business. 7. Retarget – Track your customer`s response by sending short links in the SMS. Segment them based on their activity and retarget and improve your ROI. 8. Build Relationship – (Wishes, ) Enhance your customer relation by wishing and making exclusive offers on their special occasions like birthdays, anniversaries. “Happy Birthday Rajesh! An exclusive offer to you on your Birthday. Use code HAPBDAY and Get 50% off on your next food order.” mTalkz for e-commerce With the Bulk SMS services from mTalkz, reach your customers at right time and enhance their shopping experience. Track your complex marketing and feedback campaigns with mTalkz real time reports and optimize your marketing strategy. Segment your customers based on their activities and retarget them. Not only promotional and transactional SMS packs, mTalkz provides other solutions to enhance your customer experience. ● Using mTalkz social media marketing services, broadcast photos or videos to your customers. ● Integrate mTalkz AI enabled chatbot and provide a conversational experience to your business visitors on website or app. ● Integrate your application with mTalkz emailing solutions and send One time Password or any other updates to your customer`s mail along with a SMS. ● Get an easy to remember five digit short code to use in your offline promotional campaigns and increase your response rate. 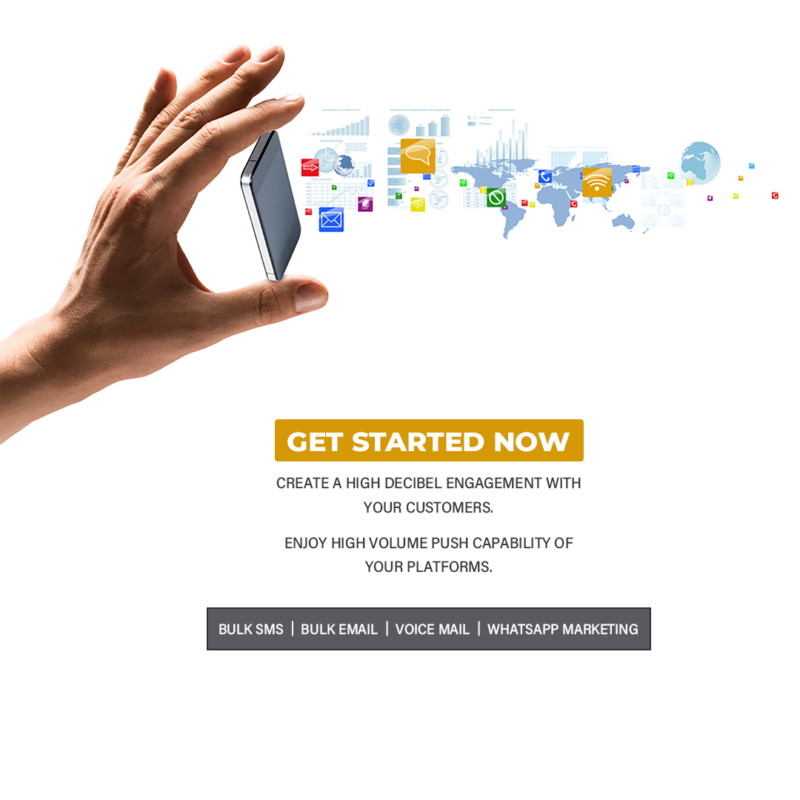 ● Create customer engagement among non English speaking customers through mtalkz Voice SMS. Broadcast your messages in the language easily understood by your customers. Finally, despite e-mails, chats and other new modes of communications, SMS is by no means a dying form of mobile communication. The reality is precisely the opposite. Make use of Bulk SMS services and enhance your customer`s experience with a right strategy. This entry was posted in BLOG and tagged Bulk SMS, bulk sms for ecommerce.